It is every woman's dream to walk down the aisle of either a church or wherever fitting in this modern age where weddings have been rejuvenated to become sophisticated and classy. Still, the thought of saying each other's vows and the grooms kiss to the bride infront of all their guests to see brings delight to not only the couple involved but also the cheering crowd that bear witness to a union. 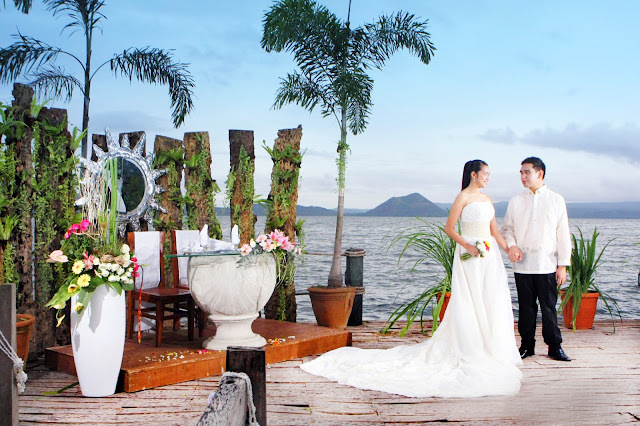 Club Balai Isabel will hold its first bridal fair on April 20 to 21, 2013 and will be entitled, “The Wedding Caravan”. It will be organized by R & A Events Specialist by Ricci Ang, and hosted by Vet Lauzon. The Wedding Caravan is designed for couples who desire a memorable and tailor-fit wedding. The event will showcase different wedding specialists and designers dedicated to making dream weddings happen. This grand event will be held at Club Balai Isabel, located on the romantic shores of Lake Taal in Barangay Talisay, Batangas City from 9:00 am to 7:00 pm. For more information about Club Balai events and promos, you may call (02) 897-1740, (+63) 9258260323 or (+63) 9178402820 or e-mail weddings@balaiisabel.com. Like Club Balai on Facebook, www.facebook.com/clubbalaiisabel or log-on to their website at www.balaiisabel.com. Still, the thought of saying each other's vows and the grooms kiss to the bride infront of all their guests to see brings delight to not only the couple involved but also the cheering crowd that bear witness to a union. Few days ago I was invited to an amazing wedding at one of famous event space in Chicago. It was so good to be there and enjoy the day. Everything was done by sister who is an event planner. She did a great job and put in best efforts. There is a long tradition of fashion in India. They have bright colors, elaborate designs and beautiful accessories. Indian women have colorful saris, handcrafted mujaris, delicate bindis and intricate mehndi design And with the help of Bollywood, India fashion has been growing in popularity with the rest of the world. Wedding planning can be challenging. It is wise to research ideas for your wedding to help your Unicorn Images day go smooth and flawlessly. This article contains many ideas and things to consider for arranging your wedding day. Unicorn Images planning can be challenging. It is wise to research ideas for your wedding to help your big day go smooth and flawlessly. This article contains many ideas and things to consider for arranging your wedding day.